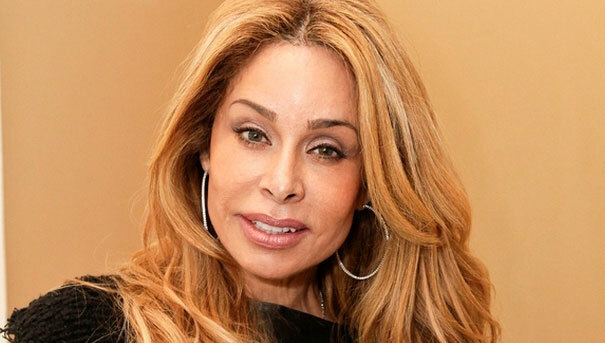 Short Description of Faye Resnick Faye Resnick, born as Faye Denise Resnick is an American television personality, author, and interior designer, best known for her appearance on the reality television series The Real Housewives of Beverly Hills. Faye is also (Read more)…. Short Description of Johanna Braddy Johanna Braddy, born as Johanna Elizabeth Braddy in 1987 is a famous American actress. She is known for her work in the 2009 horror film The Grudge 3 and has appeared in Hurt, Easy A, (Read more)…. Short Description of Jami Gertz: Jami Gertz, born as Jami Beth Gertz in 1965 is an American actress and producer, best remembered for her roles in the films like Friends, Twister, Still Standing and The Lost Boys. Though she has (Read more)…. Short Description of Sydney Brooke Simpson Sydney Brooke Simpson is a daughter of the retired professional football player, O.J. Simpson his wife Nicole Brown Simpson. Sydney has established herself as a caterer and a real estate agent. Sydney was born (Read more)…. Short Description of Anna Torv: Anna Torv is an Australian-based actress best regarded for playing girlfriends and professional women with a slightly distinguished edge. Anna is mostly notable for her roles on the Fox television series Fringe (2008–2013) as an (Read more)…. Short Description of Bijou Phillips: Bijou Phillips, born as Bijou Lilly Phillips in 1980 is an American actress, model, and singer famous for her feature films, Black and White, Almost Famous, Bully, and much more. She started her career as (Read more)…. Short Description of Catherine Bach Catherine Bach born as Catherine Bachman in the year 1954 is an American actress best regards for her roles as Daisy Duke in the television series The Dukes of Hazzard and Margo Dutton in African (Read more)…. 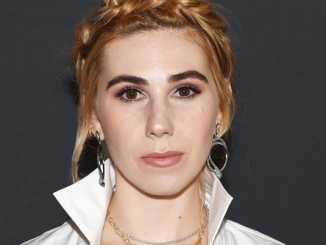 Short Description of Harley Quinn Harley Quinn, born as Harley Quinn Smith is an American actress famous for her roles in the films like Tusk and its spin-off Yoga Hosers. Both the films were written and directed by her father- (Read more)…. Short Description of Heather Nauert Heather Nauert, born in 1970 as Heather Ann Nauert is an American journalist, best known for her roles as the spokesperson for the United States Department of State since April 24, 2017. Previously, she worked (Read more)…. Short Description of Sage Steele Sage Steele, born as Sage Marie Steele in the year 1972 is an American television anchor and sportscaster famous as host for the show, SportsCenter On The Road. Until late 2017, Steele hosted the Saturday and (Read more)…. 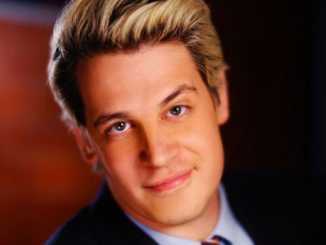 Short Description of Milo Yiannopoulos Milo Yiannopoulos, born as Milo Hanrahan is a British commentator, Journalist, and writer who has worked as senior editor for Breitbart News. Milo is also a critic of feminism, Islam, social justice, political correctness, and other (Read more)…. 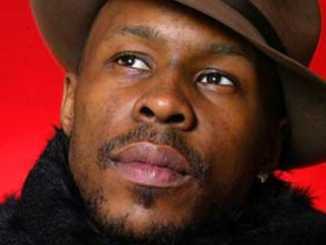 Short Description of Wood Harris Wood Harris is an American actor. He is the best actor knows for the series like the drug kingpin Avon Barksdale on the HBO crime drama The Wire, NYPD Blue as Hector, The Twilight Zone (Read more)…. Short Description Of Hugh Jackman Hugh Jackman is an Australian actor, singer, and producer best known for his role in Logan. He has played many movies including The Prestige, Scoop, X-Men: The Last Stand, Australia, Paperback Hero, X-Men, Swordfish, Van (Read more)…. Short Description of Sherilyn Fenn Golden Globe and Emmy Award-nominated actress Sherilyn Fenn id well praised for her work as Audrey on the critically acclaimed TV show ‘Twin Peaks.’ Besides that, she is best to remember for her work on (Read more)…. Short Description of Amber Heard Amber Heard is an American actress recognized for her supporting roles in the Judd Apatow – produced stoner comedy “Pineapple Express”. She has also played on the martial arts drama “Never Back Down” in 2008. (Read more)…. Short Description of Jennifer Grey Jennifer Grey is an American actress best known for her roles in the 1980s feature films, Ferris Bueller’s Day Off and Dirty Dancing. Grey has worked on television as well. Her television credits include Red (Read more)…. Short Description of Lily-Rose Depp Lily-Rose Depp, born as Lily-Rose Melody Depp is a French-American based actress and model best remembered for works in the movie Tusk, Yoga Hosers, The Dancer, and Planetarium. In the year 2016, she received a (Read more)…. India Westbrooks popularly recognized as India Love went from social media love to reality TV star substantially overnight. She’s the breakout star of BET’s new reality TV series “The Westbrooks.” A show that accompanies her family life and individual rise (Read more)…. Christina Broccolini is an actress who came to fame after working in the show named Mystery Hunters. Moreover, the show was broadcasted in the year 2002. The theme of the show was very interesting and life risky, which is why (Read more)…. Short Description of Kate Moss Kate Moss is an English businesswoman and supermodel, who was the part of the heroin chic fashion trend in the early 1990s. British Fashion Awards winner Kate was named as the 100 most influential people (Read more)…. Wonderful and unusual articles received by celebrities over the years! Discover about them! People sustain some hobby in their life. Some accumulate unique and old articles. Some desire to accumulate antiques while others accumulate coins. But there are some who accumulate unique articles in their lifetime and save them! Celebrities are also not (Read more)…. Short Description of Ana de Armas Ana de Armas is a name is twirling among a large number of fans after her part in the new Blade Runner 2049 film as Joi. The Cuban actress is famous as principal roles (Read more)…. Short Description of Dave Bautista: Dave Bautista, born as David Michael Bautista Jr. is an American actor, bodybuilder, former mixed martial artist, and retired professional wrestler. He is known for his roles in the 2014 blockbuster movie, Guardians of the (Read more)…. 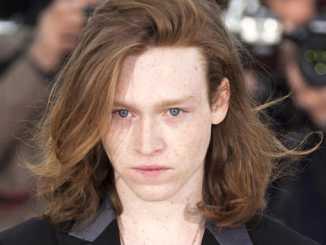 Short Description of Caleb Landry Jones Caleb Landry Jones is a well-known American actor, and musician is best known for her roles on X-Men: First Class as Banshee and as Jeremy in Get Out. Along with Robert Hudson and AJ (Read more)…. 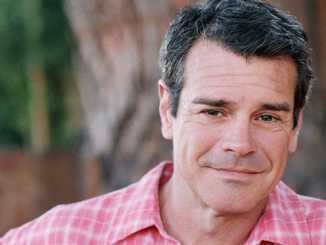 Short Description of Mark Arnold Mark Arnold is an American actor and producer best known for his roles as a professional dancer, Gavin Wylie who became a rebel on the run on the ABC soap opera The Edge of Night. (Read more)….